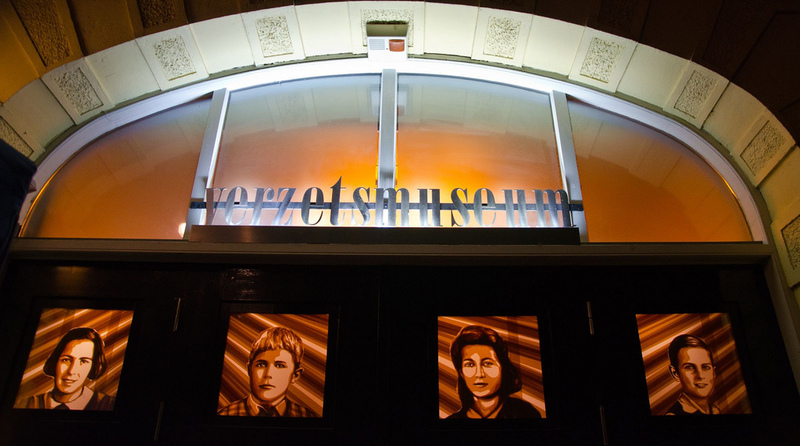 One of The Netherlands most important World War II museums, The Dutch Resistance Museum (Verzetsmuseum), partnered up with GO Gallery and Max Zorn tape art to be a part of the Amsterdam Light Festival through illuminating children’s faces of history. 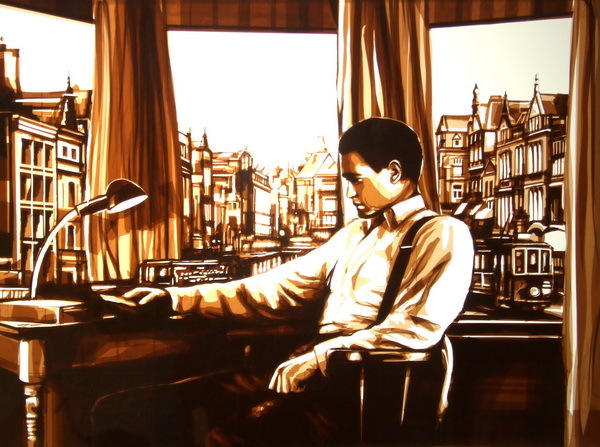 Each tape art piece by Max Zorn was created under the theme “Children of the War” together with the Amsterdam urban and contemporary GO Gallery’s annual “LED There Be Light”. The artworks depicted a portrait of a child living under Nazi occupied Amsterdam, their faces illuminated in the museum’s front façade for passers-by. A larger cityscape scene was created, and the artworks are now housed in the museum as part of its collection. The Amsterdam Light Festival added the Max Zorn museum installation as a featured location for their festival tour where thousands passed by to admire during the annual 50-day winter festival. 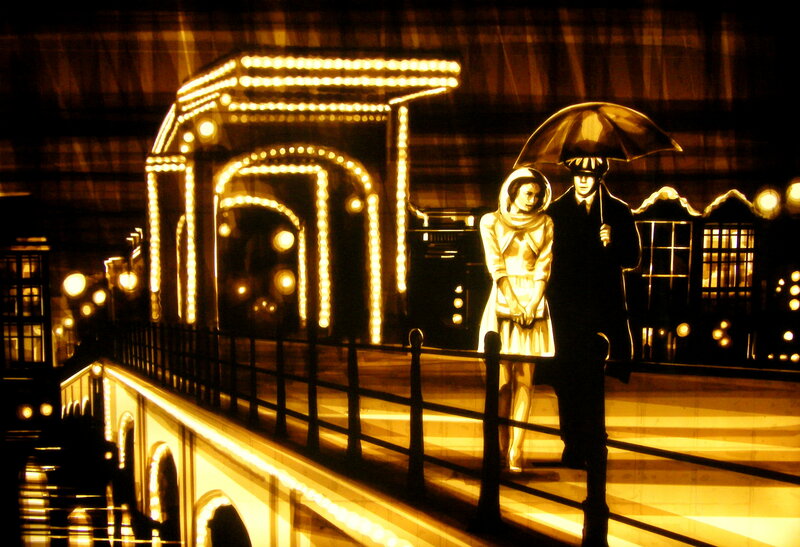 “Amsterdam Nights” depicting the iconic Amsterdam “Magere Brug” (Skinny Bridge) by max Zorn, 100cm x 70cm, brown packing tape on acrylic glass.